As previously noted, as humans we possess an innate evolutionary impulse to evolve—a mysterious spiritual urge to become one with our authentic self. This manifests as the human desire for self-realization and spiritual transcendence but the essence of this evolutionary impulse is that humanity is endeavoring to find its way Home. The Chavín Renaissance is for those who aspire to be guided Home. Maestro Dan Reynolds leads a privileged few on the spiritual pilgrimage of a lifetime to the “Holy of Holies” of sacred sites, Chavín de Huántar. Here, in the cradle of Andean civilization, Don Dan, El Huachumero, facilitates Huachuma ceremonies of the highest order to bring those in attendance into a state of grace and divine communion. For most, the Chavín Renaissance is the pinnacle of their spiritual lives. It is a sacred pilgrimage to a spiritual crossroad that separates one’s life into before and after Chavín. This line of spiritual demarcation exists because communing with the divine at one’s full potential for expanded awareness can change a person to the core. Once you experience the sacredness of everything, “sacred” is no longer just another word, and you will never be the same—you will have found Home. Initiates of the Chavín Renaissance gain the spiritual apprehension of knowledge and truths beyond the human intellect. This often includes a preview (an experiential foretelling), of where humanity is headed in these transformational times. One knows, without question, that humankind is at the Dawn of Eden. Some shamans will take any candidate who pays the tab to Chavín thus exposing this Holy site to the negative energy many individuals are carrying. Additionally, the temple grounds are exposed to the negative energy of a fair number of tourists. In short, the sacredness of this site is being compromised and is in need of healing. For that reason, Dawn of Eden® has a commitment with our jaguar allies to only take candidates they have screened and deemed to be “properly prepared”. At a minimum, this typically means “cleansed and purified” by first working with Ayahuasca but our jaguar allies are also able to tell if a prospective candidate is compatible with our work with Huachuma. This “screening” is of great value because one person with bad energy or one person who is not compatible with the plant-teacher, Huachuma can ruin the experience for everyone. 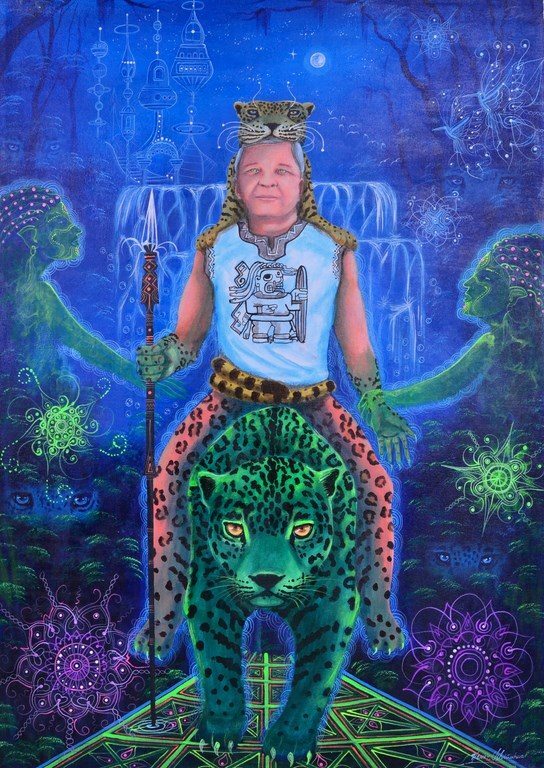 At present, while we are engaged in the process of healing the energy of Chavín, our jaguar allies have restricted our trips to Chavin to include only members of the Jaguar Brotherhood or members of our newly founded, Dawn of Eden® church. Dawn of Eden® is the only church in Peru specifically sanctioned to work with the sacred plants, Ayahuasca and Huachuma). To learn more about the Chavín Renaissance and our transformational pilgrimages to Chavín, visit The Chavín de Huántar Gallery.